Most histories of the Second World War tell the same story of the clash between the Allied and the Axis powers. German and Italian forces blitzkrieged their way past the Allied defenses in France and northern Africa, their momentum was only checked by the formidable airpower of the British over the English Channel. Then the Axis lost patience and brought new players into the war: Hitler invaded the Soviet Union, ending the German-Russian non-aggression pact, and Japan struck a preemptive blow against the United States’ naval base at Pearl Harbor. As we all know, the Allied forces were able to dismantle the early gains made by the Axis powers and eventually win the long, bloody war. The horror of the Holocaust was discovered, nuclear weapons were used, and the Cold War began—that is how most descriptions of World War II end. However, an important piece is missing from that story. What of Generalissimo Francisco Franco, the only major fascist dictator to survive WWII? Franco had conspired with Mussolini and Hitler before the Second World War and had kept up a correspondence with his fellow fascists during the war. 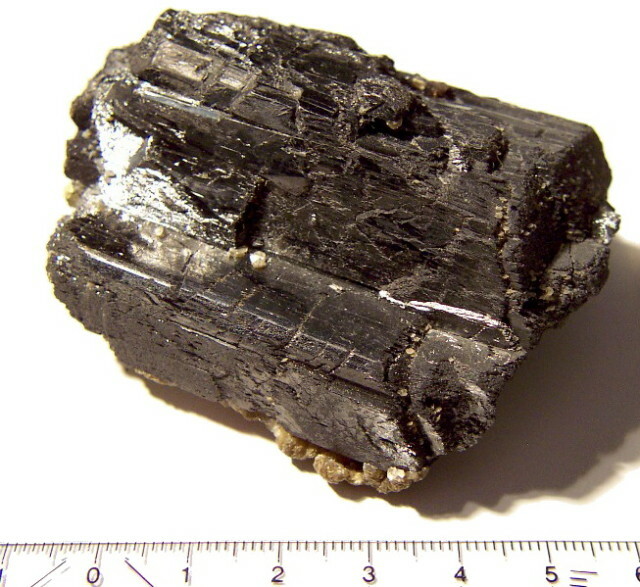 The Franco Regime worked with German intelligence and gladly supplied the Axis with war materials, most notably wolfram/tungsten (used in hardening steel). 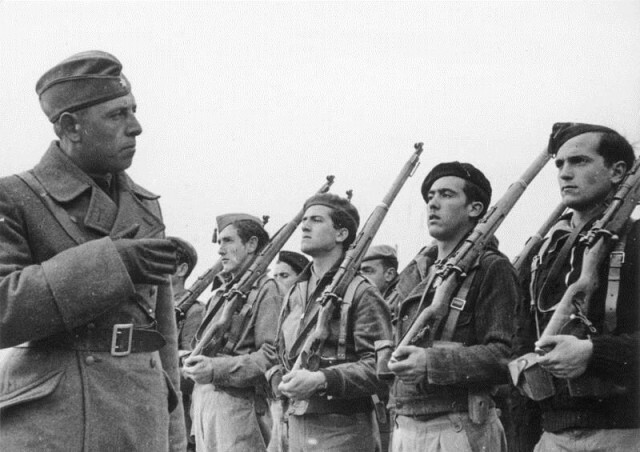 Here are ten little-known facts about how Francisco Franco aided the Axis powers during WWII. 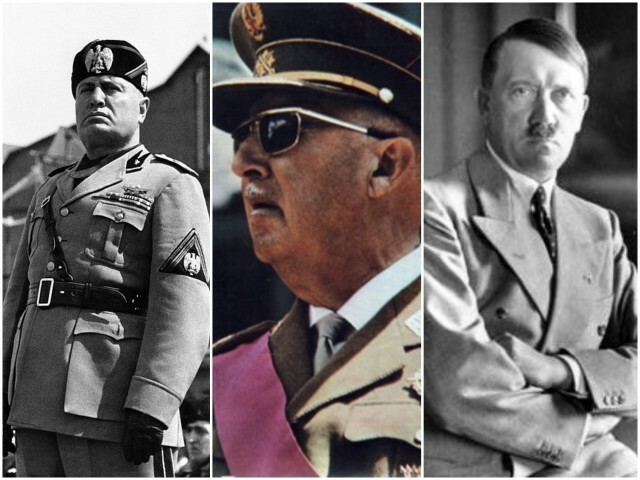 Hitler and Mussolini were not the only fascist dictators on the rise before the onset of WWII. 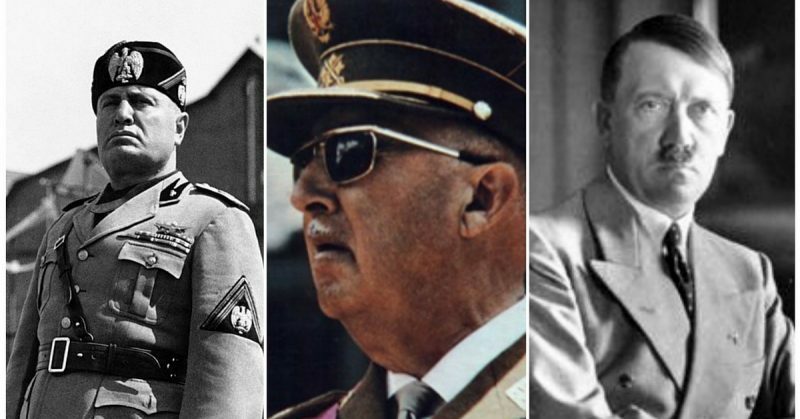 The established dictators of Germany and Italy helped a third fascist take power in Spain—Francisco Franco. Each of the three dictators had a strong paramilitary political party of die-hard fascists, and helpfully, all of these parties were color-coded. Hitler had his ‘brown shirts’ and Mussolini had his ‘black shirts.’ Only Franco’s Falange chose a more colorful uniform, outfitting themselves in blue. The fascist Falange began in 1933 under the leadership of José Antonio Primo De Rivera. They were the main fascist component of the coalition that would later back the Nationalist military rebellion against the government of the Spanish Republic. 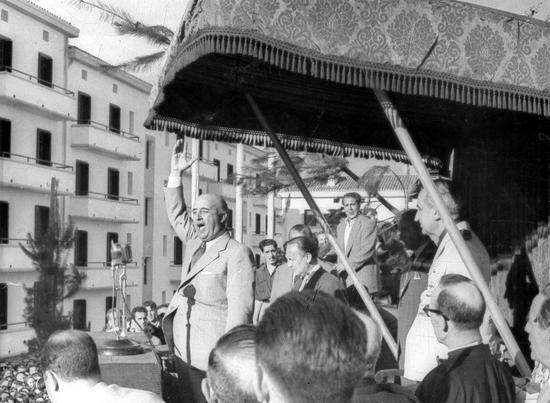 The Falange, along with monarchists and Catholics, were a backbone of enthusiasm and fervor that greatly aided Generalissimo Franco in his efforts to win the Spanish Civil War. The fascist zeal of the Falange did not die off at the end of the Spanish Civil War. The civil war ended the same year WWII began, so many of the Falangists openly supported their fascist brethren in Germany and Italy. In fact, chaotic mobs of Falangists threw rocks at the British embassy in Madrid. The Franco regime also insulted the United States—Franco’s brother-in-law Serrano Suñer applauded the Japanese attack on the U.S. naval base, Pearl Harbor. 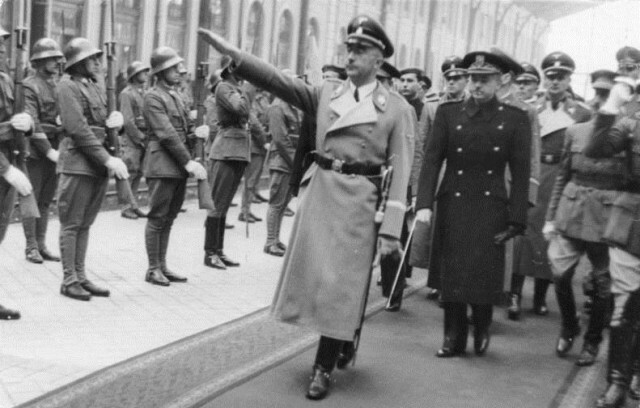 Serrano even had Heinrich Himmler tour Spain to advise the Franco regime on Gestapo tactics. Even though Spain officially took a neutral stance during WWII, both sides could clearly see that Franco and his regime favored the Axis powers. Generalissimo Franco and the Nationalists had been militarily aligned with Germany and Italy before WWII began. The Spanish Civil War was an early proxy war between many of the nations that would later fight in the Second World War—Germany and Italy were Franco’s greatest friends during the civil war, while France and the Soviet Union were Franco’s greatest enemies. The Spanish Civil War allowed Germany, Italy and the Soviet Union to test the mettle of their troops, and to explore new battle-tactics. Franco was heavily dependent on German and Italian aid during the Spanish Civil War. Without German air transportation, Franco would never have been able to move his Moroccan colonial troops past the Spanish Republic’s navy. At the start of the civil war, Hitler and Mussolini both lent the Spanish Nationalists air power and weaponry. At the height of the civil war, Germany and Italy ramped up their contributions to Franco’s war effort, counteracting the Soviet Union’s support of the Spanish Republic. Hitler sent Franco his Condor Legion, consisting of approximately 7,000 fighting men and 90 airplanes, while Mussolini sent in an infantry regiment of around 45,000 men, as well as his own air force. The German and Italian troops participated in many of the battles during the Spanish Civil War. The most notorious air raid was the bombing of the Basque city of Guernica. Masterminded by Lt. Col. Wolfram von Richthofen of the Condor Legion, a total of 25 bombers and 15 fighters carried out the raid, flown by German and Italian pilots. Franco’s foreign soldiers, however, were not always successful. The most notable defeat was suffered by the Italians in the Battle of Guadalajara, where Mussolini’s troops failed in their offensive against the defenses of Madrid. All in all, the aid given to the Nationalists by Germany and Italy was greatly appreciated. When WWII began, and the Allied and Axis sides began to clash, Generalissimo Franco struggled to keep his bias hidden from the world. To the Axis powers, Franco spoke of allegiance to the fascist cause. To the Allied powers, he spoke of being a non-belligerent observer, willing to mediate surrender or peace. The result was frustration on both sides, with the Axis wondering when Spain would join the war and the Allies constantly evaluating the defenses of the vital Strait of Gibraltar. The speech (mentioned above) angered both the Axis and the Allied powers. The Allies immediately began planning a strategy to pursue if ever Spain entered the War—it consisted of taking the Canary Islands if Gibraltar was compromised. Stohrer was right; if the Allied powers had believed Franco to be truly neutral, then his speech quickly cleared the illusion. During WWII, the Axis powers struggled to keep a stockpile of the necessary strategic materials required for warfare. While the gaze of the United States was focused on Pearl Harbor, the Japanese frantically conquered the oil fields of Southeast Asia. Similarly, Germany marched relentlessly against the oil-rich region of Stalingrad. Franco’s regime in Spain found itself in a very beneficial situation—they could sell supplies to the Axis and the Allied powers would appease Franco, wanting Spain to remain a non-belligerent nation. So, that is what Franco decided to do, and the ploy worked like a charm. German officials worked in Spain to ensure that a steady stream of resources flowed into the German war machine. Spain traded food, iron, alloys and wolfram (tungsten) to Germany. There were also two major German banks operating in Spain. Analysts believed that Spain housed around $95 million external German assets by the end of WWII, and possibly a grand total of $140 million worth of gold (123 tons). Once the Allied powers were clearly turning the tide of the war, they were able to pressure the Franco regime into ending trade with the Axis. By the end of January 1944, the United Sates expressed its plan to end its shipments of petroleum to Spain if the regime continued its trade with the Axis powers; as a result, by May of the same year, Spain drastically cut back on its aid to the Axis. Though Spain officially reinforced its neutrality, supplies were still smuggled into Germany, and German agents remained in Spain. The gold that Spain had gained from Germany during the war was an issue. U.S. analysts estimated that $100 million of the $140 million worth of gold was the result of Germany looting conquered nations. In 1948, Spain only returned around $1.3 million worth of gold back to the Allied powers, but the issue was not pressed, for the war was over, and peace, healing, and reconstruction were the prime objective. Axis powers did not necessarily need to wait for supplies to be shipped from Spain before they could benefit from Spanish goods and manpower. The Franco Regime allowed its fascist friends to bypass any middlemen and obtain resources directly from Spain’s sovereign soil. German and Italian air and naval forces could receive several services at locations scattered around the Spanish coast, colonial lands, and islands. The Franco regime maintained, refueled and repaired Axis aircraft and submarines that were operating near Spain. 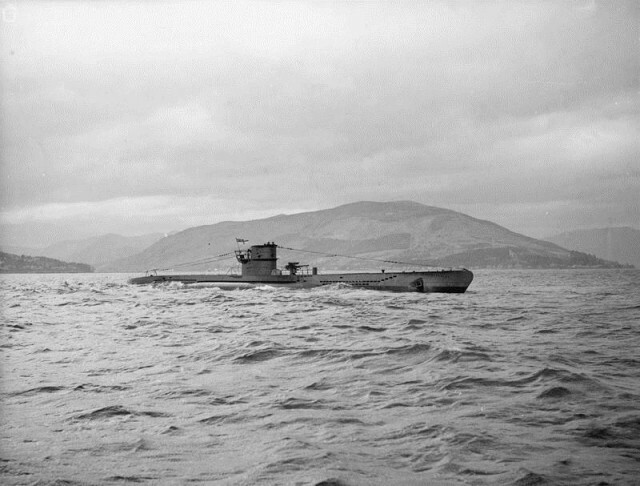 German U-boats were allowed to refuel on the Spanish western coast, Morocco and the Canary Islands, greatly extending the range of the deadly submarine wolf packs. Understandably, the Allies were outraged over Spain’s resupply of German U-boats and immediately demanded that the resupply facilities be closed down. While the resupply program was active, it is possible that Spain refueled around 20 U-boats.